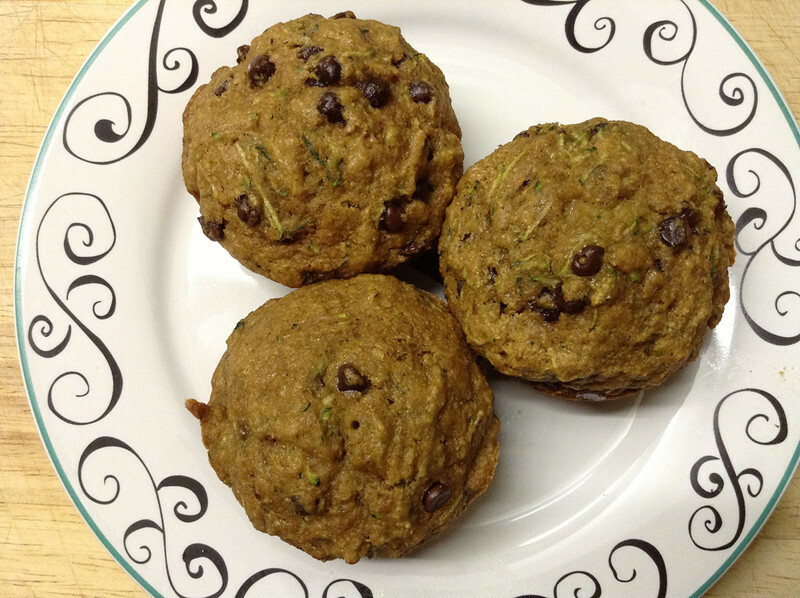 Clean Eating Chocolate Chip Zucchini Muffins Mama Say What?! | Mama Say What?! Muffins have always been a favorite treat of mine. Since I’ve started eating “clean,” a regular muffin from a bakery, grocery store or coffee shop is definitely not on the meal plan. But these muffins are pretty much as clean as you can get and they are AWESOME. They don’t taste low-fat or “healthy” in any way and they’re loaded with yummy and healthy ingredients, including vegetables. Give them a try – my picky toddler loves them as well! 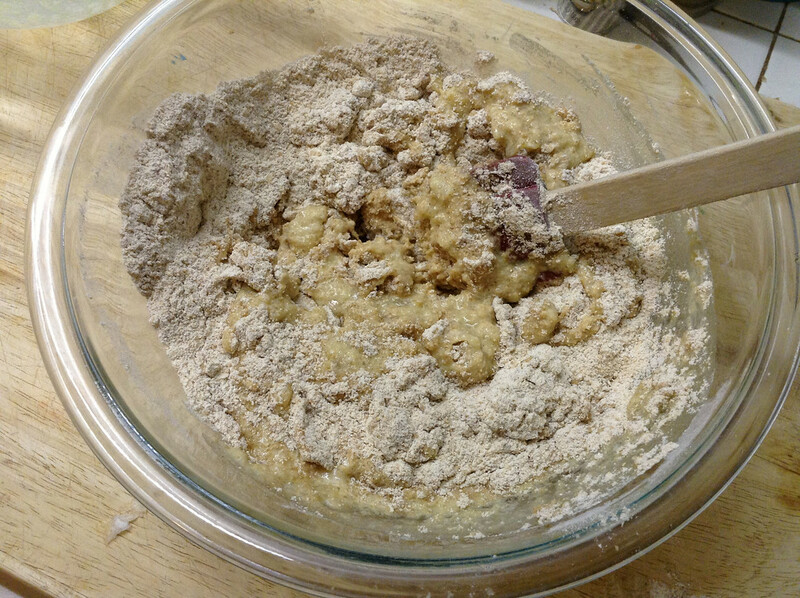 Combine the dry ingredients in a bowl and set aside. Add the egg to a separate bowl and beat slightly. 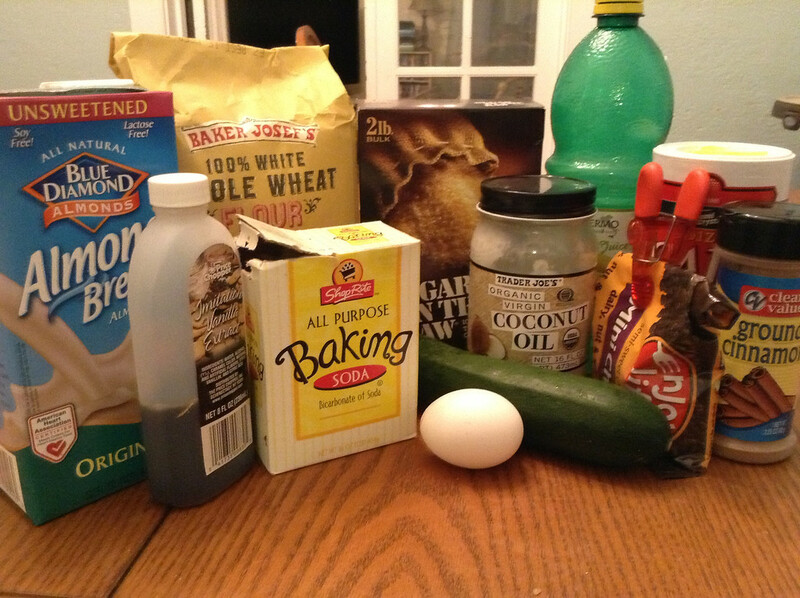 Add the applesauce, coconut oil, milk, lemon juice and vanilla to the egg and mix together. Add the wet ingredients to the dry and mix well. 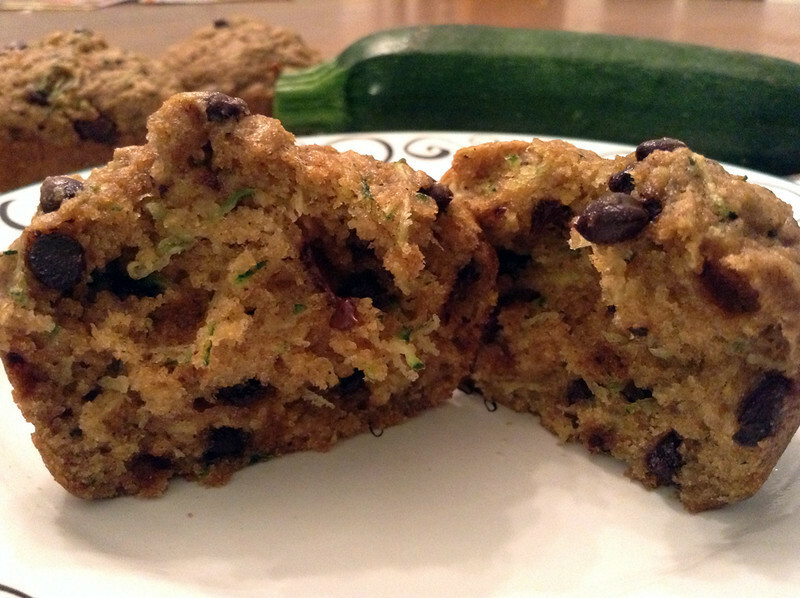 Grate the zucchini and add it to the batter along with the chocolate chips. Mix until combined. 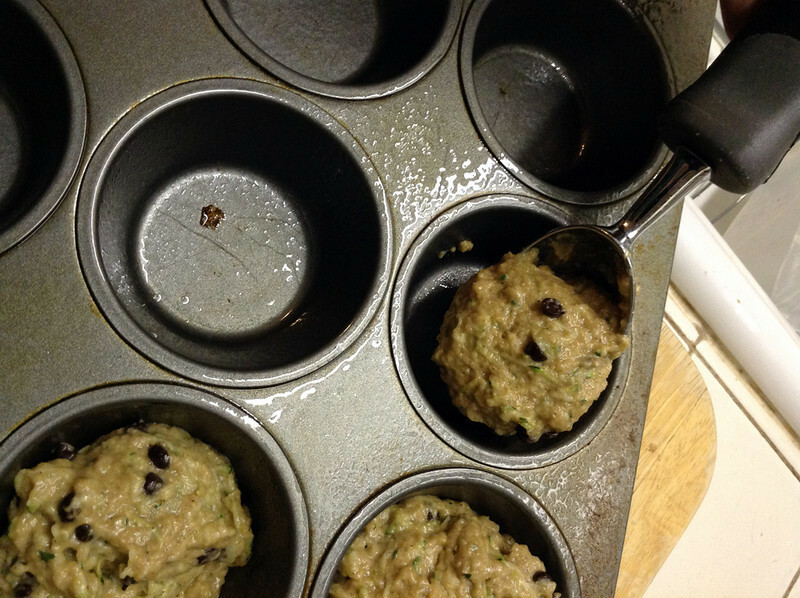 Add batter to muffin tins lined with non-stick spray (use an ice cream scoop!). Bake at 350° F for 18-20 minutes. Let cool and store. These would be fine in the fridge for a few days, but I like to keep mine in the freezer and take them out one at a time. The hint of chocolate chips gives these muffins a subtle, sweet flavor without being overpowering. You can definitely feel good about “indulging” in one of them with breakfast, for a snack, or dessert! 1. 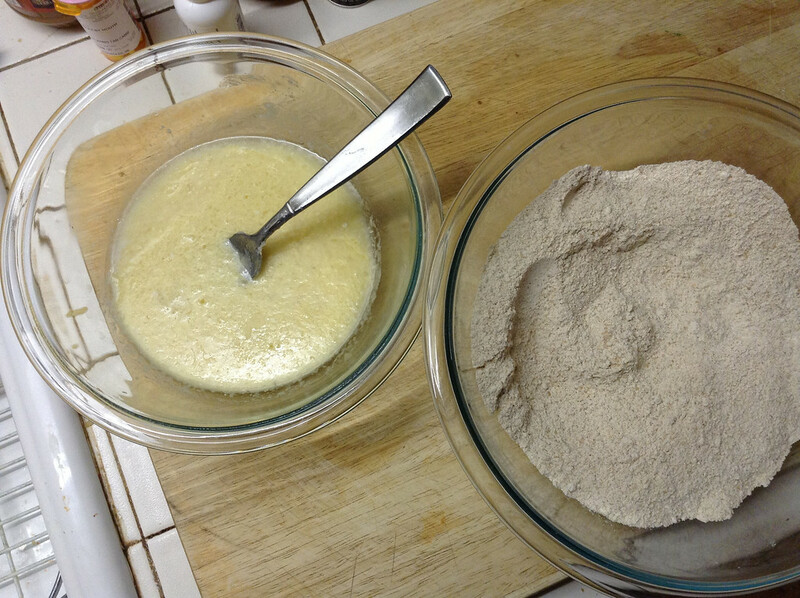 Combine the dry ingredients in a bowl and set aside. 2. Add the egg to a separate bowl and beat slightly. 3. Add the applesauce, coconut oil, milk, lemon juice and vanilla to the egg and mix together. 5. 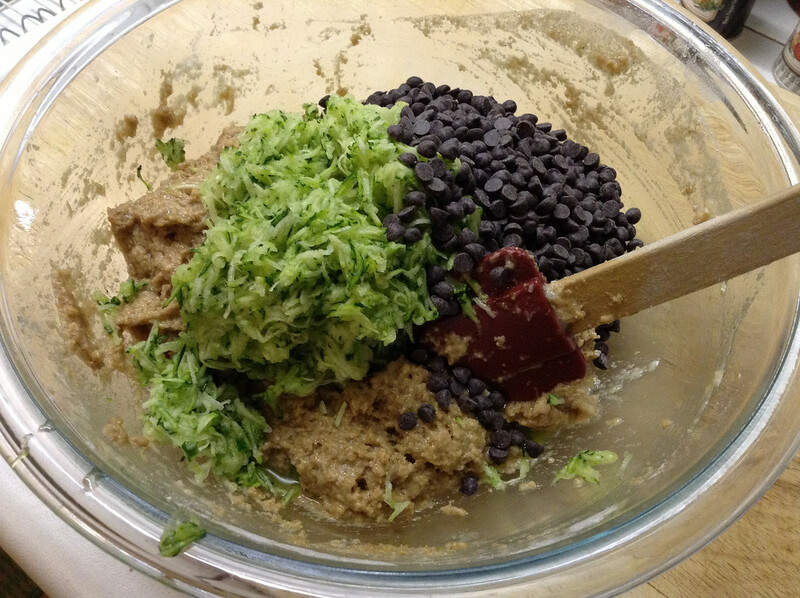 Grate the zucchini and add it to the batter along with the chocolate chips. Mix until combined. 6. Add batter to muffin tins lined with non-stick spray (use an ice cream scoop!). 8. Let cool and store. These would be fine in the fridge for a few days, but I like to keep mine in the freezer and take them out one at a time. Added by MaryEllen M. on January 31, 2014.
so creative! they look yummy! Pingback: Quick and Easy Freezer Meals Mama Say What?! | Mama Say What? !